Early Readers are stepping stones from picture books to reading books. A blue Early Reader is perfect for sharing and reading together. 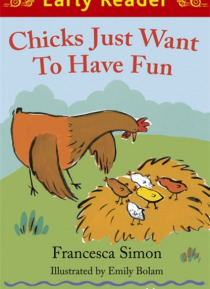 A red Early Reader is the next step on your reading journey.The chicks don't want to go to bed. They're sure there's a party somewhere, and they're determined to find it.